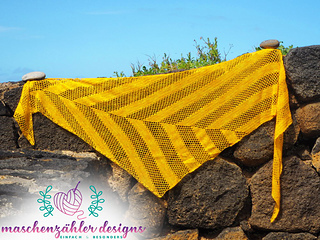 Helios is the perfect summer project for you to make! 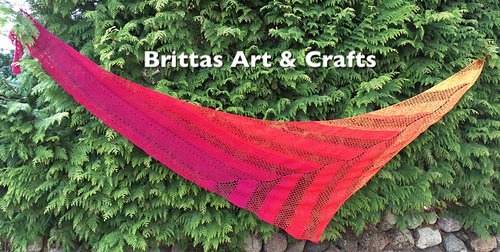 It’s a triangular shawl worked with a lace weight yarn. The pattern is quite straight forward - you only have to be careful at the sides and at the center. 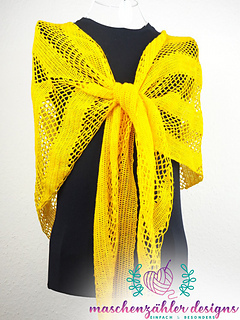 The pattern comes with written instructions for each row as well as with a complete chart. 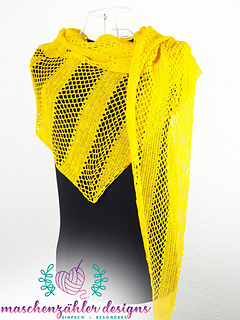 You will start this shawl at one corner and work in rows. There is no need for a long starting chain! 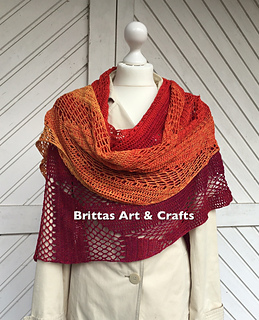 You should be comfortable with working tr’s and dtr’s in order to make this shawl. 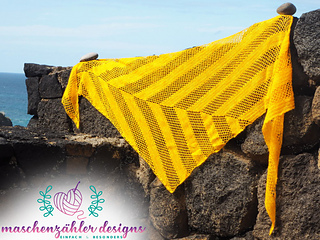 It is possible to modify the size of the shawl by adding/leaving out some pattern repeats. 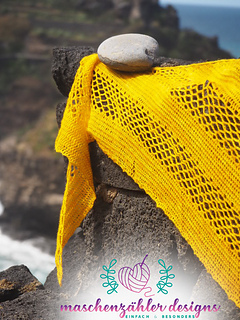 Instructions on how to do this and how you can make sure that you don’t run out of yarn in your last rows are included in the pattern. 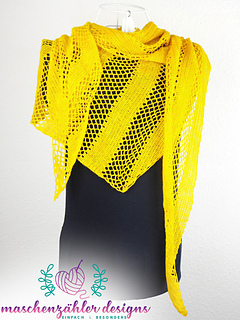 Even though the pattern calls for a lace weight, the shawl will turn out beautiful with a heavier yarn as well. Für diese Anleitung solltest du kein Problem damit haben, DStb und 3fach-Stb zu häkeln.